No sooner than it begun Game#3, Telltale Games – The Wolf Among Us, has come to an end. I must say that I’m a bit disappointed in the somewhat anticlimactic ending of The Wolf Among Us though. I thought the ending would be bigger, more important. Having said that, it didn’t take away from the game overall and I’m really glad I played it. Thank you for voting and thank you for watching! Now I find myself curious as to how the other Telltale Games offerings stack up so I’m adding them to this poll. You are allowed up to 5 choices however you cannot vote on multiple occasions. Once you submit your vote or votes polling is closed to you. All games listed are story driven and single-player in nature; multi-player based games will not be considered. My aging system can handle it: i7 3770K, Asus P8Z77 V-Pro, EVGA GTX970 FTW Edition, Windows 7. Games receiving no votes on previous poll have been removed. The reason for this format is I typically stream Multiplayer only Games during the week and I require a venue to connect better with twitch chatters. I feel a day free of distractions when performing in a group is necessary to better converse with our small yet enormously entertaining Twitch audience. For now this is PC only but I’m working on getting my PS4 hooked up to my PC monitors for Live Streaming as well. Once this happens I fully intend to livestream The Last of Us. Those interested in Battlefield 1 please do not select “Other”. I’ll likely be streaming BF1 regularly Tuesdays and Thursdays upon release (late October). Alan Wake: 1.4 hrs in, bought it on steam sale, not a big fan of it so far. Alien Isolation: 6.3 hrs in most of it spend hiding. ArmA III: 121 hrs played, would like to try campaign. Assassin’s Creed IV Black Flag: bought on steam sale, heard it was good, haven’t played it yet. BioShock Infinite Burial at Sea: expansion to Bioshock Infinite. Doom: 1.1 hrs in, lost interest due to arena combat, not scary or immersive like Doom 3. Metro: Last Light: 14 hrs on record, love it but never finished. Rise of the Tomb Raider: 3.8 hrs on record, like it so far. Tales from the Borderlands: not tried it yet, looks interesting. The Witcher 3: Wild Hunt and all expansions: 78 hrs in, what can I say, I LOVE THIS FRANCHISE!!! I’m milking it as it looks like forever before we’ll hear details about Cyberpunk 2077. Wolfenstein: The New Order: 14.1 hrs on record, surprisingly good game and decent story (so far). ~ more than willing to start games over from the beginning. I’ve made up my mind to pass on Deus X: Mankind Divided but will definitely pick up Dishonored 2. Lastly, I’m aiming for between 3 – 4 hours play sessions every Saturday so if 3 PM EST to 6/7 PM EST is too late for you please comment below and I’ll start the stream 1 hr earlier. Please cast your vote below; you are allowed up to 5 votes. Should you not see a game listed you’d like to see played, please add it to the comments below. Voting “Other” without leaving a comment as to the game you’d like played will null your vote. PLEASE NOTE: Saturday streams may be preempted by iRacing Team Endurance events. For up to date B2O Live Stream information please follow us on Twitter and/or Facebook. 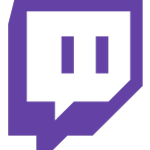 All Games are Livestreamed on Band of Others Twitch Channel.